Havana, Aug 29 (Prensa Latina) Among the beverages and spirits present at the 22nd edition of the Pan-American Cocktail Championship, Havana Club rum has a strong presence in most of drinks. About 250 people from 18 countries are attending the competition, hosting at the Habana Libre Tryp Hotel from August 26 to 31, with an extensive program that includes keynote speeches and meetings. 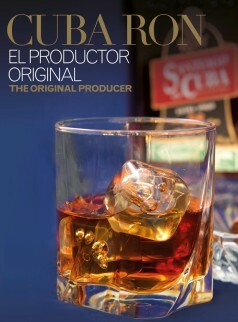 The participants agree on the prevalence of Havana Club rum, the most popular and demanded one of those manufactured on this island. Hence, the director of sales and marketing at Havana Club International S.A., Vivian Thomas Olivares, will show the press her satisfaction. She recalled that her firm has a wide range of Premium products, and said her company is the main sponsor of the meeting. Havana Club International (HCI) accompanies the Cuban Association of Bartenders in all national and international events, she stated. The executive said that for its directors, it is important that this Pan-American event return to the island after 10 years, which means an excellent commercial opportunity. The Pan-American Cocktail Championship welcomes delegates, representatives, bartenders and businessmen, who also participate and appreciate drinks from companies such as MG, Freixenet UCSA, Cuba Ron, La Estancia, Finest Call, Campari and Angostura.